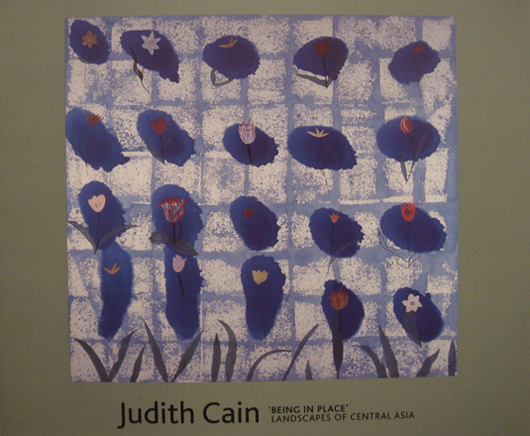 This book was published in conjunction with an exhibition of Judith Cain's work at Kew Gardens. The paintings illustrated in this book spring from an encounter with the unfamiliar, in particular the environment and culture of Kazakhstan in Central Asia. Many of the paintings contain exquisite and powerful renderings of the flora of this region, the origin of many of our familiar garden flowers and plants, brought into Europe along the Silk Road wrapped in lengths of cloth. In others, the intensely coloured petals and traceries of stems are set off against the strange landscape of contemporary Kazakhstan. Arid steppes, framed by the western extremity of the Himalayas, are sprinkled not only with flecks of colour but also the detritus of Kazakhstan's period as part of the USSR: abandoned factories, collective farms, colossal irrigation and transport schemes, as well as more sinister laboratories and weapon ranges. Modern art in the broadest sense remains governed by a need to take risks. In particular, artists who continue to develop reject any simple repetition of previously successful devices and formulae. These new paintings build on the richness, inventiveness and fluency with drawing and colour that Judy's work has always displayed, whilst also taking on new challenges at every level. The best of them achieve a wholly convincing and moving visual response to a complex and challenging reality..